Salerno Italy is an attractive Italian city location in the region of Campania. It is a popular tourist destination and a gateway to the beautiful Amalfi Coast. Famous landmarks in Salerno include Castello di Arechi (a hilltop castle) and a picturesque seaside promenade. 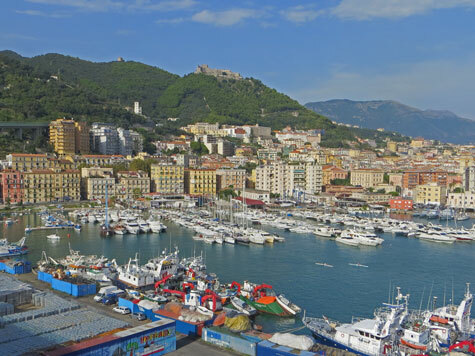 Salerno is blessed with a pleasant Mediterranean climate and features some beautiful nearby beaches. It is a transportation hub that includes a ferry terminal, airport and central train station. Nearby attractions include Positano, Amalfi and the lost city of Pompeii. There are many good hotels in the centre of Salerno Italy and along the Amalfi Coast. Salerno have a number of interesting museums and art galleries. Enjoy your trip to Salerno Italy!